The health and appearance of your teeth are very important if you want to have the healthiest smile possible. Yet there's another important part of a healthy smile: the gums. Many people take for granted just how much the gums impact the overall appearance of a smile as well as the other structures of the mouth. The team at our Manhattan cosmetic dentistry center would like to take a moment right now to look at the basics surrounding gum disease and how it can be treated. This will help you understand just why they are so important. Gum disease refers to the infection of the gums by bacteria. This bacteria naturally occurs in the mouth and causes tooth decay to occur. Gum disease is actually a common general dental care concern, and one that we always take seriously. If left undetected or untreated, gum disease can cause major health and dental problems for a patient. Gingivitis - Gingivitis is the earliest stage of gum disease. Some of the most common symptoms include bleeding gums, swollen/tender gums, discolored gums, gum recession, and bad breath. Periodontitis - Periodontitis is the second stage of gum disease. The symptoms of periodontitis are the same as gingivitis, through more severe. Inflammation and swelling of the gums are both common, as is soreness of the gums, loose teeth, and chronic bad breath. Cavities and tooth decay under the gumline is common as well. Advanced Periodontitis - Advanced periodontitis is the most serious stage of gum disease. During this stage, teeth may have fallen out or shifted out of place. Severe pain is also common given the state of the gums at this point. The treatments for gum disease usually vary depending on the stage of gum disease. It's first important to control the infection, which means the use of antiseptic rinses and possibly prescription antibiotics. 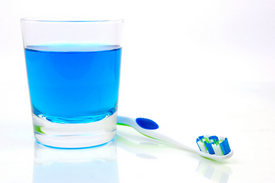 These will both go a long way to restoring overall dental health. Sometimes to address the gum recession related to gum disease, soft tissue grafting and other periodontal therapies will be required to ensure optimal dental health. Gum disease can affect the teeth as well, which is why there are various tooth decay treatments and other therapies involved when addressing severe cases of gum disease. Deep cleanings (planing and scaling) are common, and in the case of tooth loss, Manhattan dental implants may be considered. Each treatment will be custom-designed to meet the needs of the patient, ensuring that the unique dental health problems being faced are met properly. The best way to prevent gum disease is to practice good general dental hygiene. Brush your teeth at least twice a day and floss every night. Ideally, brush and floss after every meal. Also, be sure to visit your dentist for regular cleanings twice a year so that any problems can be caught and treated sooner rather than later. If you would like to learn more about gum disease treatment as well as other general dental care options, be sure to contact our New York City cosmetic dentists today. The entire team looks forward to meeting you in person and helping you make the best possible decisions about your dental health.